Twists Glass Studio have just finished the Glasgow Spring Fair at the SECC, which turned out to be successful. 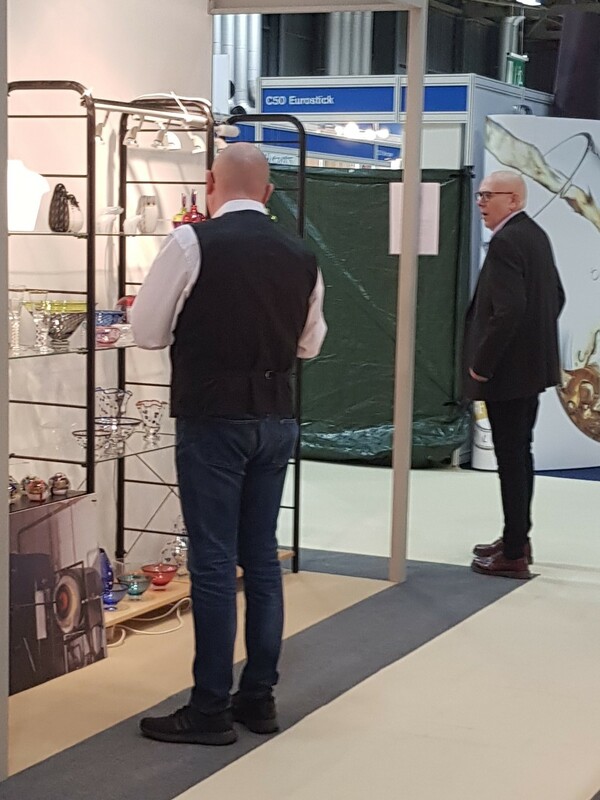 The next show is the Spring Fair Birmingham at the NEC from Sunday 3rd to Thursday the 7th of Feb, we hope to see you there, but check out our web site as we can only take a small proportion of giftware as display space is limited. Directly after arriving home we fly to Frankfurt, Germany to attend the Tableware International Awards of Excellence, to which we are in the final 3 for the Artisanal Award category, wish us luck! 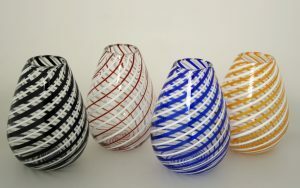 Swirly Vases, in various colours, transparent and opaque.